Russia intends to spend three and a half times less than NASA on a new-generation manned spacecraft designed to replace the Soyuz family. The craft will rival the Dragon 2 being developed by America’s SpaceX corporation. According to the new budget being requested by Roscosmos from the Russian government, the construction of the “Federation” reusable piloted spacecraft will cost 58 billion rubles (US$734 million) over the next six years. 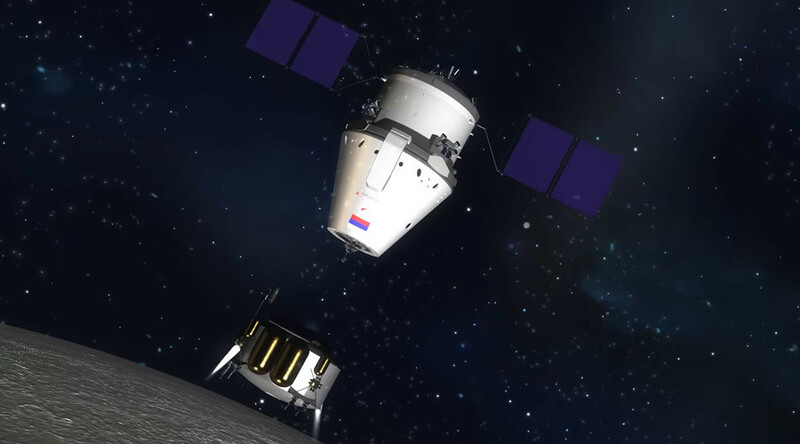 The sum requested is 3.5 times less than what NASA is spending to develop its SpaceX Dragon 2 delivery vehicle, which was allocated $2.6 billion in 2014. In fact, the new research and development budget runs 8 billion rubles ($101 million) less than was planned last year. Federation - formerly known as the Prospective Piloted Transport System ( PPTS ) - is expected to be completed in 2021. Its first launches to the International Space Station (ISS) in both manned and unmanned modes are scheduled for 2023. Federation is currently being developed by Energiya Rocket and Space Corporation and is designed to tow both humans and cargoes to the Moon and low orbit. An Angara-A5V heavy-class rocket will be used to deliver the new spacecraft into orbit. Once completed, the spacecraft will have a crew of up to four people and will be able to operate autonomously for up to 30 days. It can be deployed to the ISS for up to one year. In requesting the new budget under the draft Federal Space Program until 2025, Roscosmos also envisions that the spacecraft will be capable of reaching the Moon in 2024-2025, while the first actual flight to the Moon is planned after 2025. Roscosmos hopes the new budget will be approved by the government by March this year.